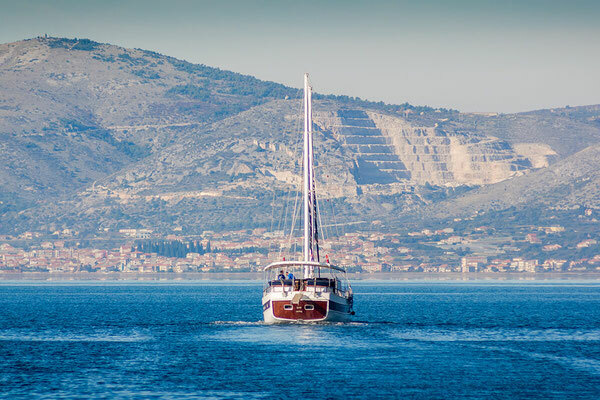 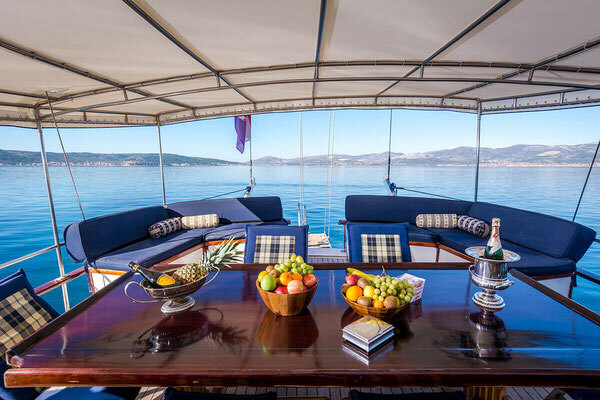 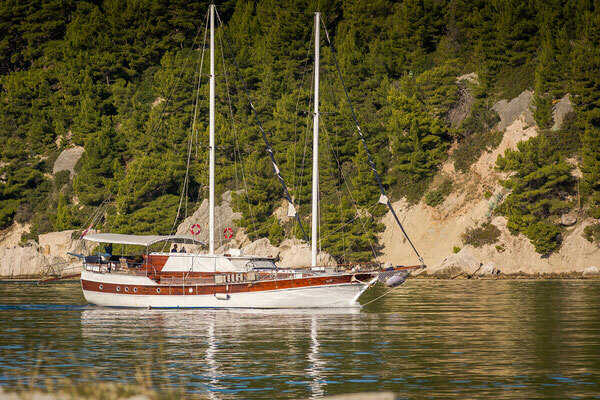 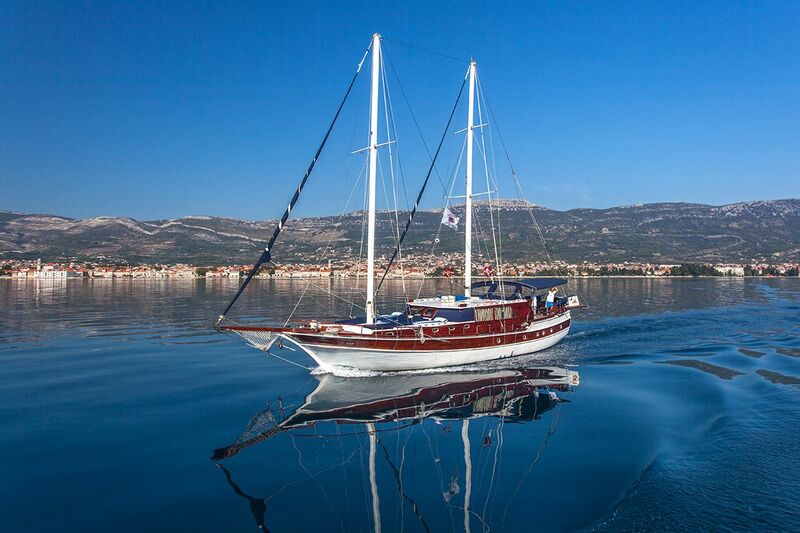 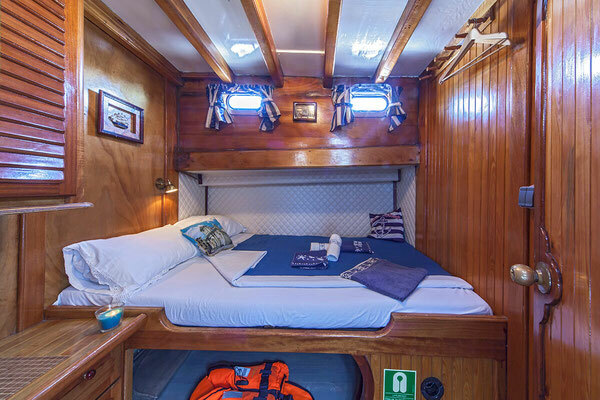 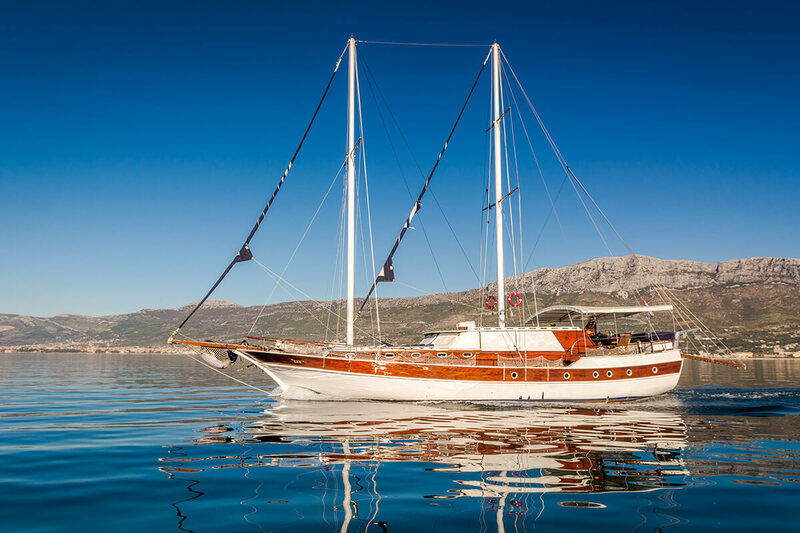 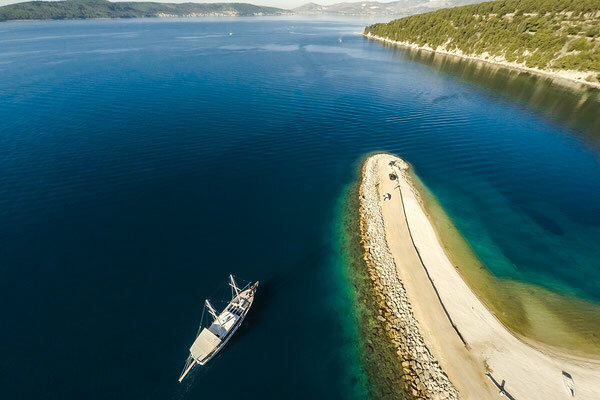 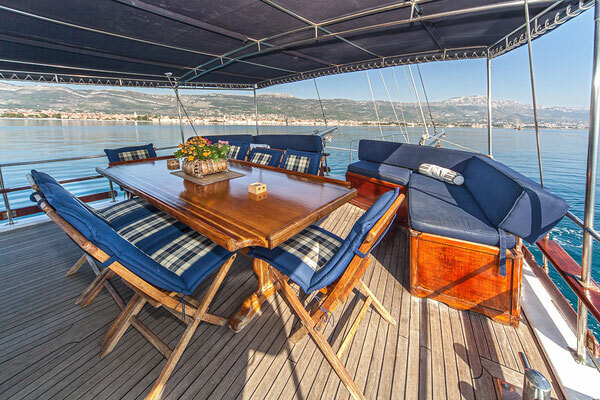 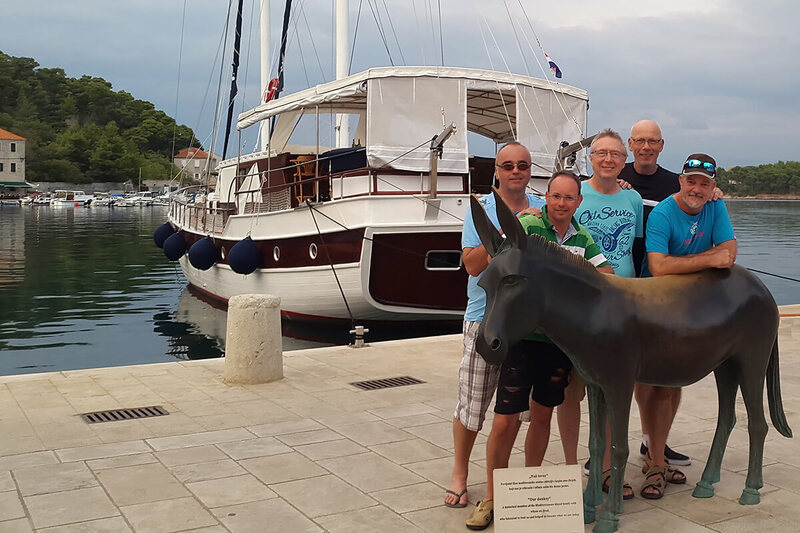 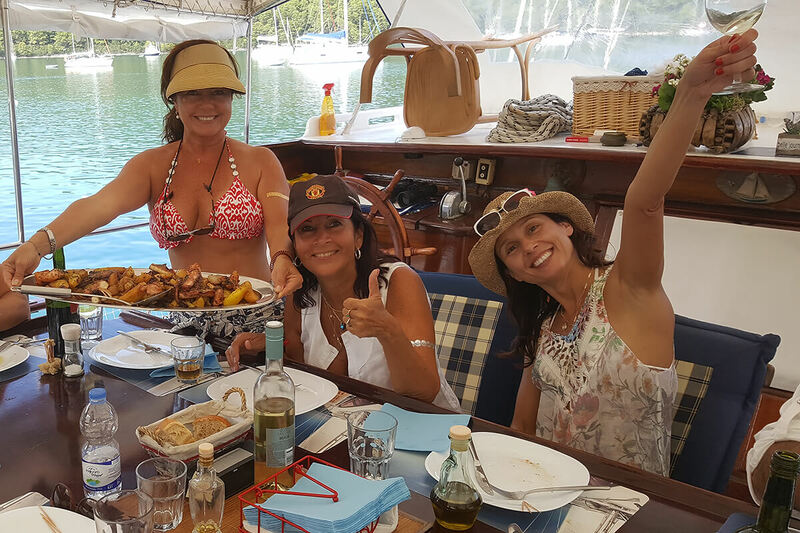 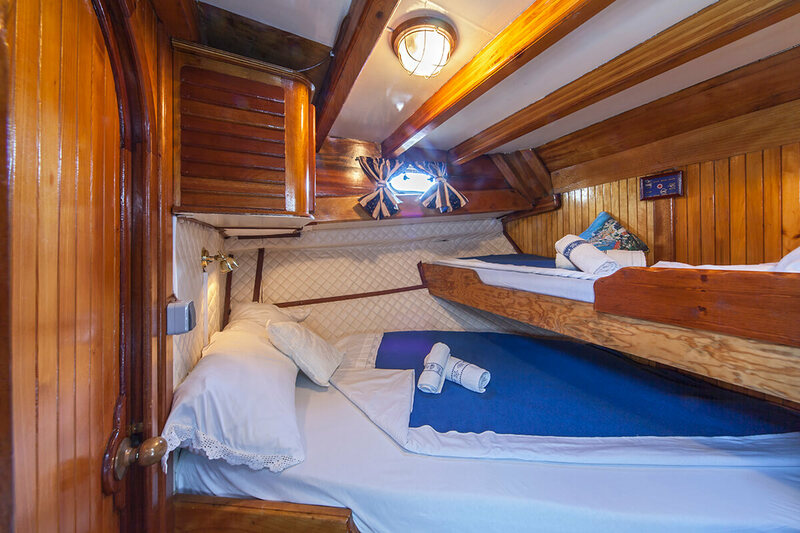 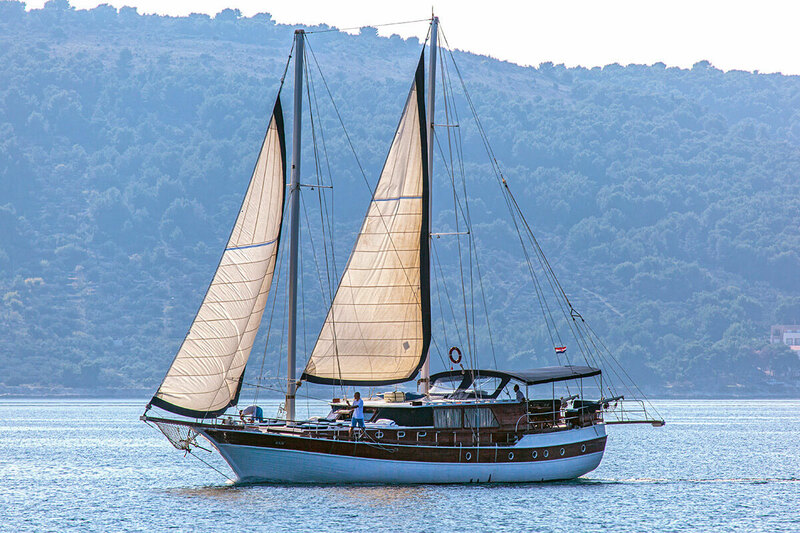 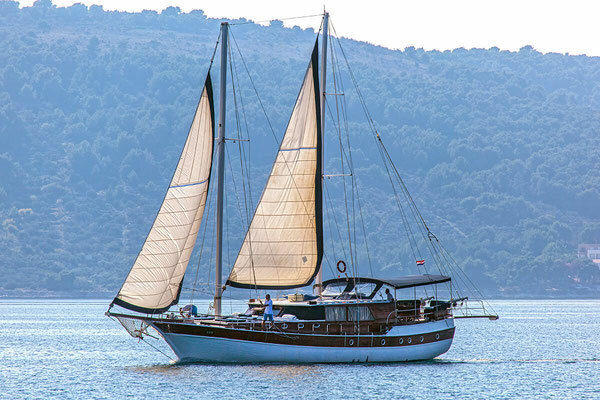 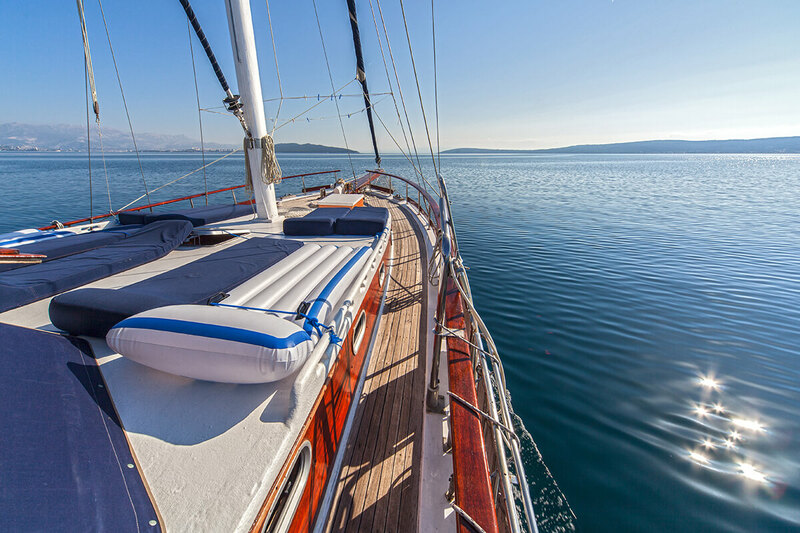 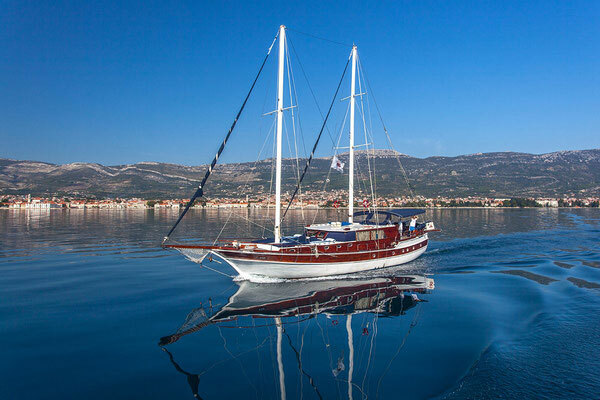 Gulet San (Dream) will realize all of your dreams: at this comfortable gulet you will spend the most beautiful cruise along the Croatian coast of the Adriatic. 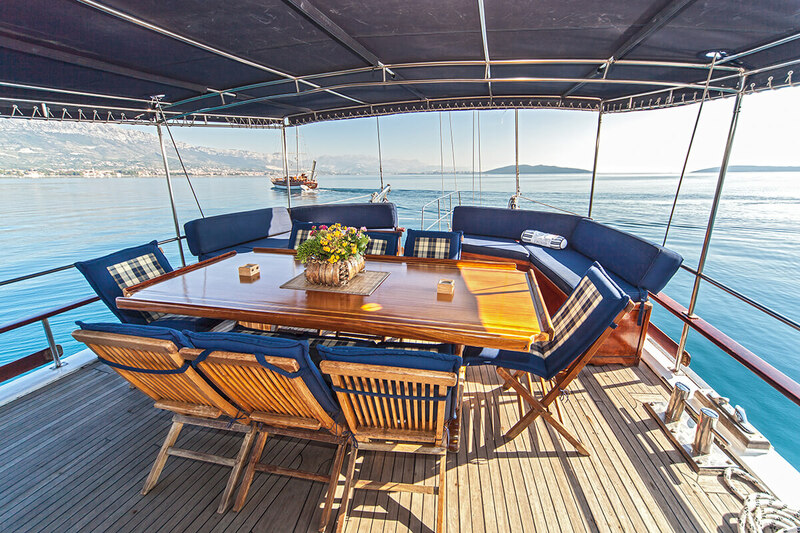 On the covered back deck, you will enjoy dining at the big table and chill out in the shade on a large sofa. 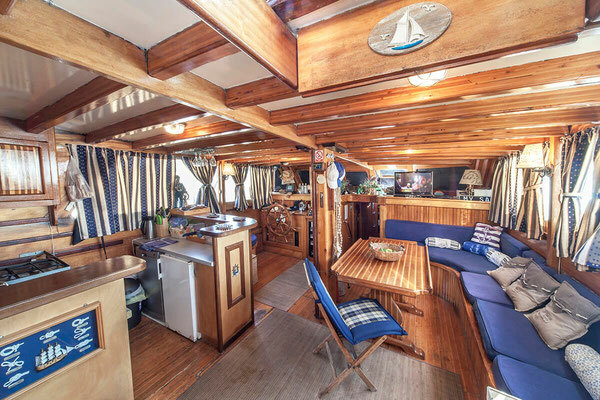 The front deck stands out with shower and mattresses for sunbathing. 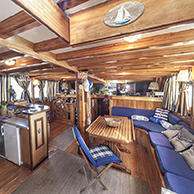 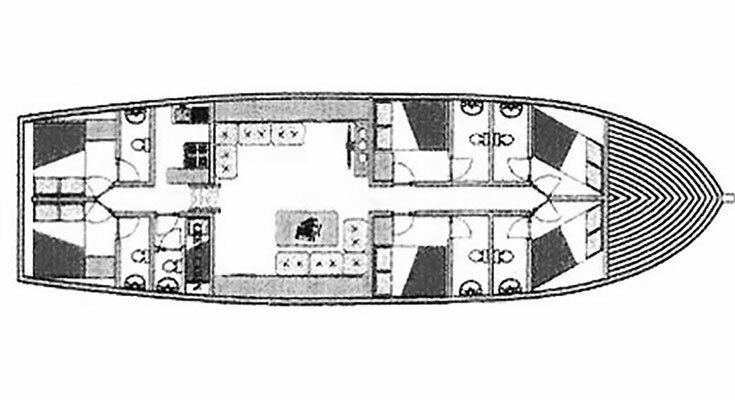 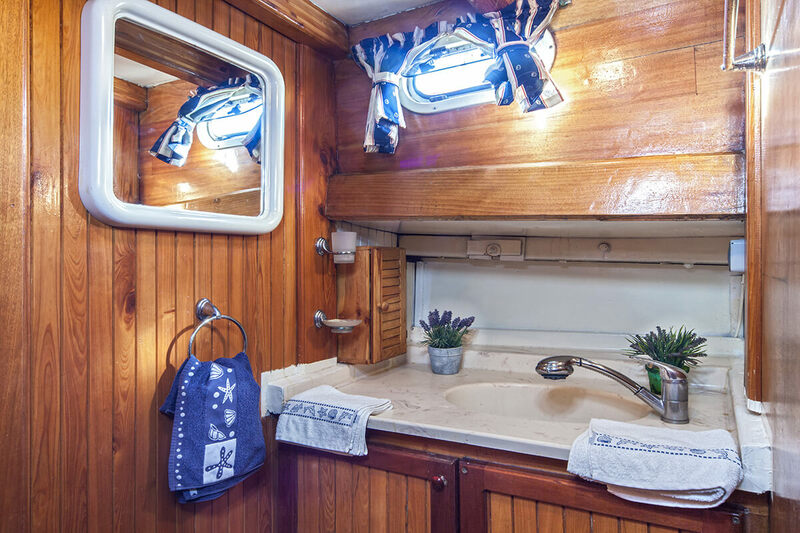 Blue colored details with maritime motifs dominated the saloon: sofa table, kitchen and separate sofa for sitting provide you with all possible comfort. 6 air-conditioned cabins with en suite bathrooms have small lockers and bedside tables. 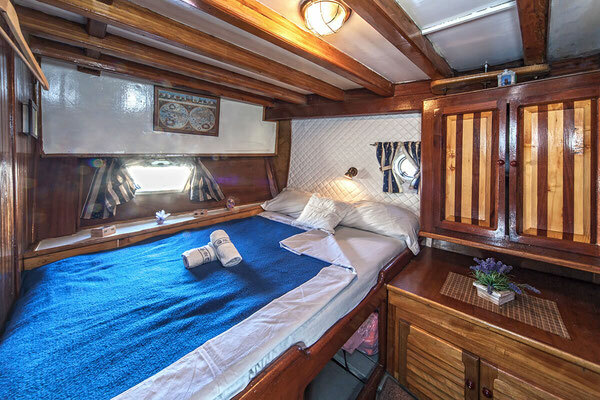 It can accommodate 12 adults and 2 children. Lots of spaces provide entertainment with a radio / CD player, TV, iPod and Wi-Fi connection and games. 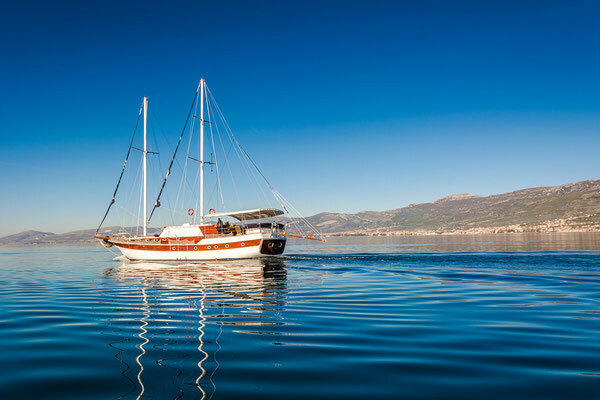 For the active sportspersons there are kayaks, water skiing and equipment for fishing and diving. 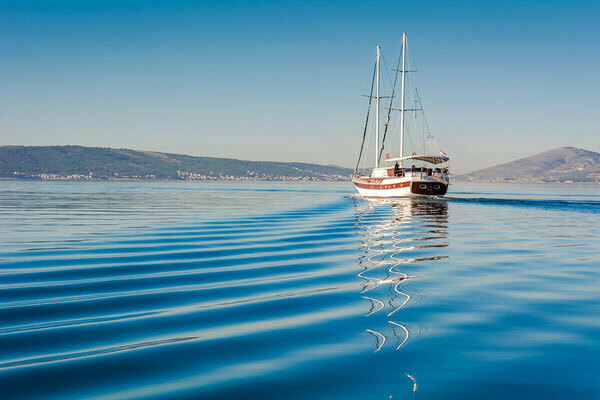 Have a nice fulfillment of your dreams!